Providing the horticultural community with the most thorough reference to appear on this group of important ornamental plants. This 8 1/2 by 11" hardback reference has 343 pages, 335 color photographs and ten appendices. 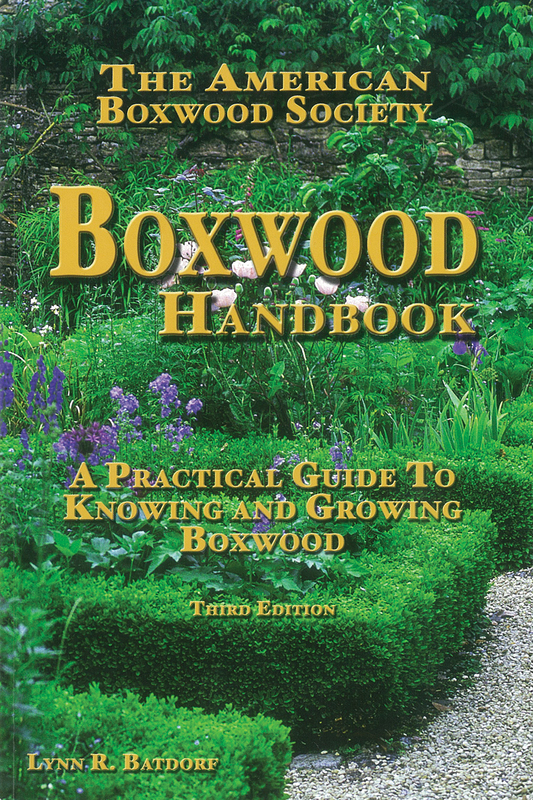 It is a comprehensive account of all of the known temperate boxwood, which includes nearly 1,050 different boxwood names. It contains information on the size, hardiness, habit, leaf shape, stem characteristics, annual growth, site conditions, pests, landscape use, history and common names. It took U.S. National Arboretum horticulturist Lynn Batdorf nearly 20 years, six trips to Europe, countless visits to nurseries and botanic gardens throughout the United States, to complete his book. Since 1985 Batdorf, is the Registrar for The American Boxwood Society, which is the International Cultivar Registration Authority for Buxus L. He is curator of the National Boxwood Collection at the United States National Arboretum in Washington, D.C., where, since 1977, he has been managing the most complete living collection of boxwood. More than sixty Boxwood Trial test cooperators from the United States and several international sites present this comprehensive evaluation of boxwood cultivars. With this data, boxwood lovers now have access to information that will allow them to come to a reliable conclusion as to the performance of some of the best boxwood cultivars from the Atlantic seaboard to Mid-America. The mission of the National Boxwood Trials is to evaluate boxwood cultivars in a wide range of microenvironments using two primary criteria, grower friendliness and impulse cosmetics. This report focuses on plants in the “boxwood belt” from Connecticut to Chicago, then south to near Kansas City, to St. Louis and then south to Memphis and Birmingham, and along the Mid-Atlantic coast. Additionally, there are international participants in the Republic of Georgia, Yalta, and the United Kingdom. This sixth Boxwood Trials Report contains data collected from about sixty sites in the United States and overseas. Since the 2006 edition, we have welcomed new cooperators, and “old” cooperators have re-evaluated their plants. 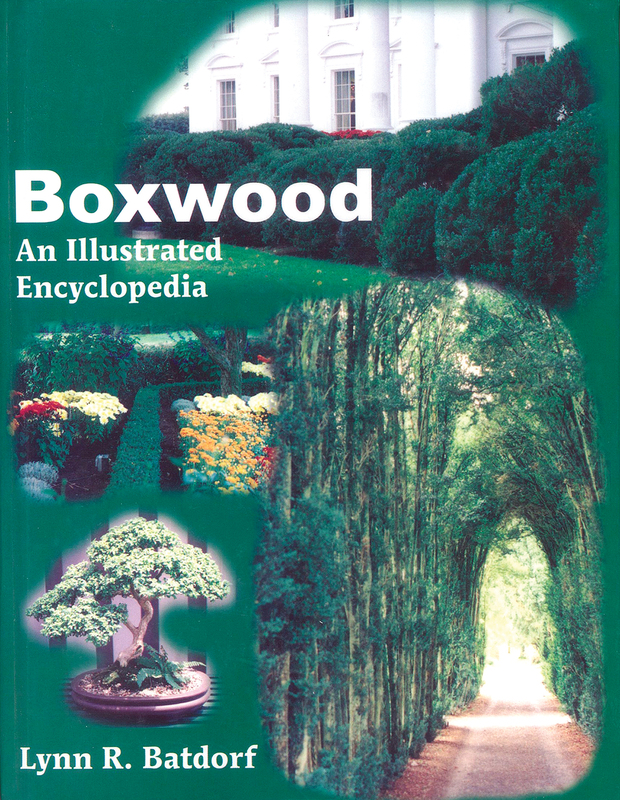 An authoritative guide to boxwood culture written by Lynn R. Batdorf, Curator of Boxwood, Perennial and Aquatic Plants at the U.S. National Arboretum in Washington, D.C. and International Cultivar Registration Authority on Buxus L. and ABS Registrar. 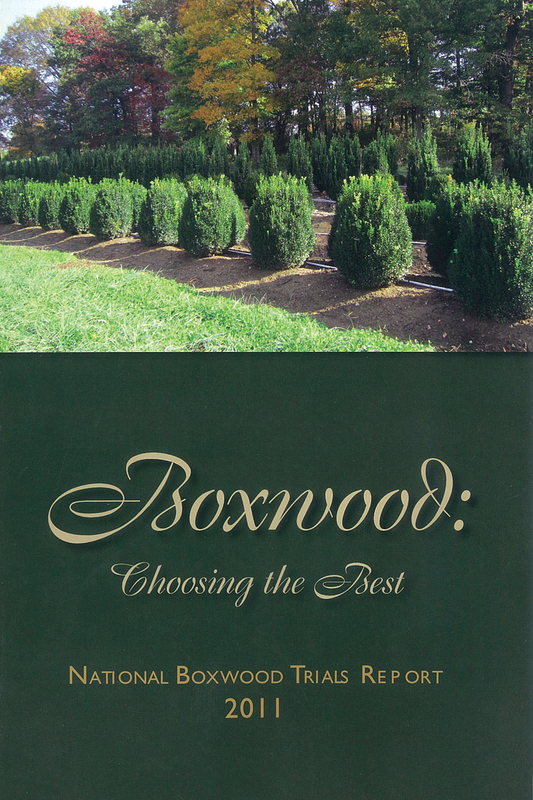 This 123-page book has chapters on: the history of boxwood; recommended boxwood with descriptions; boxwood in the landscape; culture including pruning, transplanting, site conditions; propagation; pests; disease. 91 color photos. The American Boxwood Society is always looking for material to publish in The Boxwood Bulletin. Technical articles, news, history, lore, notes, and photographs concerning boxwood specimens, gardens or plantings can be emailed to amboxwoodsociety@gmail.com. The Bulletin is currently published 3 times a year - Spring, Summer & Fall. SEARCH OUR HISTORICAL REFERENCE LIBRARY! The ABS is excited to announce the creation of our online Boxwood Bulletin Library! 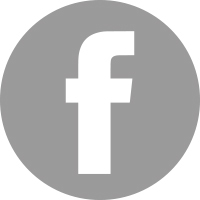 Access over 55 years of publications on boxwood care, landscape use, history, tours, lectures, and gardens. Thanks to all the donations, hard work and the continued generosity of members of The American Boxwood Society for helping us step into the Digital World. - Spring 2019. Volume 58. No 3. - Fall 2018. Volume 58. No 2. - Summer 2018. Volume 58. No 1.